Euro 2016 playoffs: Who will reach France? A new European Championship qualification campaign meant some new faces representing their countries this week. 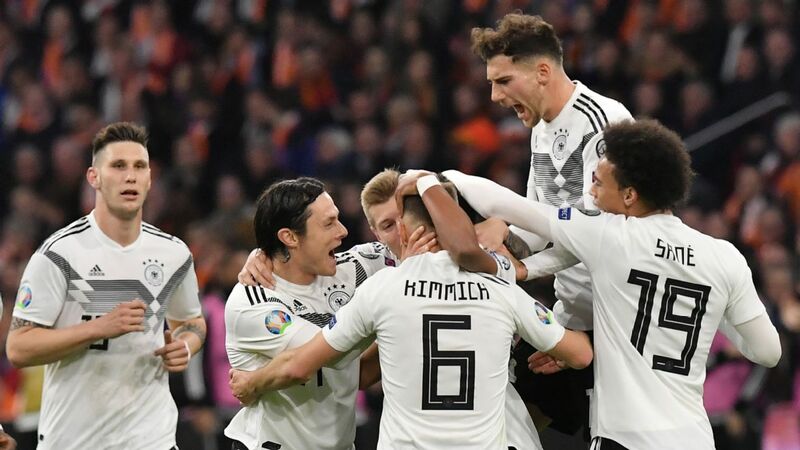 And while many of the youngsters on show, particularly in Germany's enthralling 3-2 victory over the Netherlands, had already made their competitive debuts in the UEFA Nations League, others were representing their countries in a competitive game for the first time. Here are five notable players who had a week to remember. Enthused by the prospect of integrating bright young prospects who have tasted success at junior level with England, and frustrated by top clubs' reluctance to play them in the Premier League, Gareth Southgate has boldly fast-tracked several youngsters into the England side. This week, he introduced Callum Hudson-Odoi into the team using him as a substitute in a 5-0 win over the Czech Republic, then using him from the outset in the 5-1 win over Montenegro. Hudson-Odoi, incredibly, hasn't actually started a Premier League game yet for Chelsea. Hudson-Odoi is an assured, confident player who loves beating the full-back with a trick, and against Montenegro he was bright throughout the game. An early dipping cross caused the Montenegro defence problems, and while he made wrong decisions a couple of times when receiving the ball on the run, he continued to attempt the spectacular. He excelled when switching to the left flank, cutting inside to drive a shot that was turned into the net by Ross Barkley, and later driving into an inside-right position and having a decent effort turned around the post. 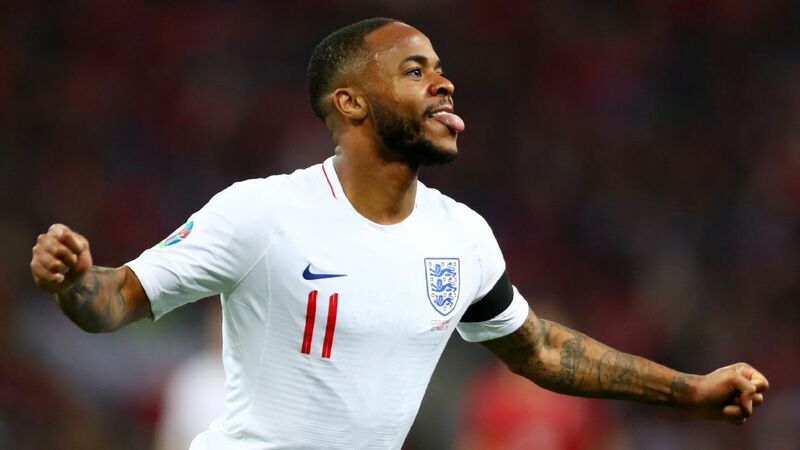 Essentially used in place of his childhood friend Jadon Sancho, who had impressed against the Czech Republic, it's these two wingers who might define England's identity in the coming years, providing speed, versatility and trickery -- not to mention decisive contributions in the final third. Having scored for Italy's U15, U16, U17, U19, U20 and U21 sides, it was only a matter of time before Moise Kean registered for the full national side too. But Kean's precociousness shouldn't be underestimated: he became the youngest player to start up front for Italy since 1912, and the youngest to score since 1958. Kean's all-around performance was positive. He often started from the left flank, creating a decent chance in the first half by bamboozling the opposition defence with a couple of stepovers before chipping to the far post with his left foot, where right-back Cristiano Piccini volleyed over. In the second half he switched to the right flank, from where he scored. The goal underlined his confidence in front of goal; slipped through by Ciro Immobile, Kean calmly finished past Finnish goalkeeper Lukas Hradecky with his supposedly weaker left foot. It was somewhat typical of Kean's style: always running in behind, always providing the option for a through-ball. 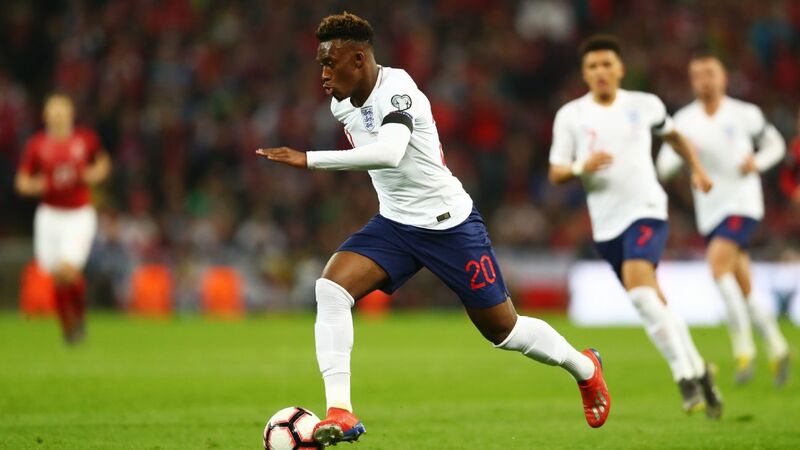 Callum Hudson-Odoi was a revelation in England's Euro 2020 qualifying win at Montenegro. Kean has needed to be patient at Juventus this season, only playing three minutes until he was surprisingly handed a start against Udinese earlier this month, and responded with two goals. Now, on his first Italy start, he's scored his first international goal. "This was a beautiful evening," the 19-year-old said afterward, "but I know that I still have so many records to beat, and I intend to beat them." Wales were the surprise package at the last European Championship, impressing on their way to the semifinals before being defeated by Portugal. Ahead of the next European Championship, however, Ryan Giggs is attempting to overhaul the squad and introduce some new faces. The most eye-catching performance in their 1-0 victory over Slovakia on Sunday was provided by Daniel James, who delivered the winning goal inside five minutes, after a quick counter-press won the ball on the edge of the opposition box, and James smashed home with his right foot. It was his first international goal, on his first competitive start. Wales' two outstanding players of the past 25 years, current manager Giggs and current captain Gareth Bale, both originated in the left-wing position James prefers, and the Swansea player received valuable advice from both beforehand. "It's massive for me to learn off the gaffer and Gareth," James said afterward. "They've obviously shown a lot to me and the gaffer said to me before the game, 'Go and do what you've been doing at Swansea.' Gareth just said, 'Keep getting at the full-back' and that's what I did." James might not replicate the medal haul of his predecessors in that left-wing position, but his searing speed could come to represent the next generation of Welsh talent. There was understandable controversy when Declan Rice declared his intention to play for England. Having represented the Republic of Ireland since U16 level and playing for the full national side three times, his switch to England went down badly in Ireland, especially as he's been in such fine form for West Ham recently. Southgate decided not to use him from the start in the 5-0 thrashing of the Czech Republic, and instead introduced him as a late substitute. Like Hudson-Odoi, he then made his first full start in the 5-1 win over Montenegro, playing in the deepest midfield position, with Eric Dier out injured and Jordan Henderson not 100 percent fit. Rice's performance was roughly what you'd expect for a defensive midfielder who played as a centre-back until relatively recently: He's good in a positional sense and excellent at breaking up play, but his possession play requires more work. In particular, he doesn't always receive the ball in the correct manner. Whereas the likes of Harry Winks accept the ball on the half-turn and can play forward with their next pass, Rice is, at this stage, keener to play simple return passes to his defenders. But Rice has only just turned 20, and improvements will come with more experience in central midfield. That is still England's problem position, so Southgate will be delighted that Rice has declared for England -- and, having now played competitively for the Three Lions, he won't be able to switch back to Ireland. He's not a youngster anymore -- he turned 28 last month -- but it was nevertheless fantastic to see Sergio Canales, one of the most talented midfielders in La Liga, finally make his international debut as a substitute in the 2-1 victory over Norway. Canales' career has been a case of what might have been. As a prodigious youngster, he made the classic mistake of moving to Real Madrid too early and then suffered from serious injury problems -- including three cruciate ligament ruptures. Injury problems also meant he had to leave the Spain squad midway through the victorious U21 campaign of 2013, when he featured alongside the likes of David De Gea, Koke, Isco and Thiago. While they've featured regularly for European football's biggest clubs, Canales was forced to rebuild his career during a four-and-a-half-year stint at Real Sociedad, before making the move to Real Betis last summer. 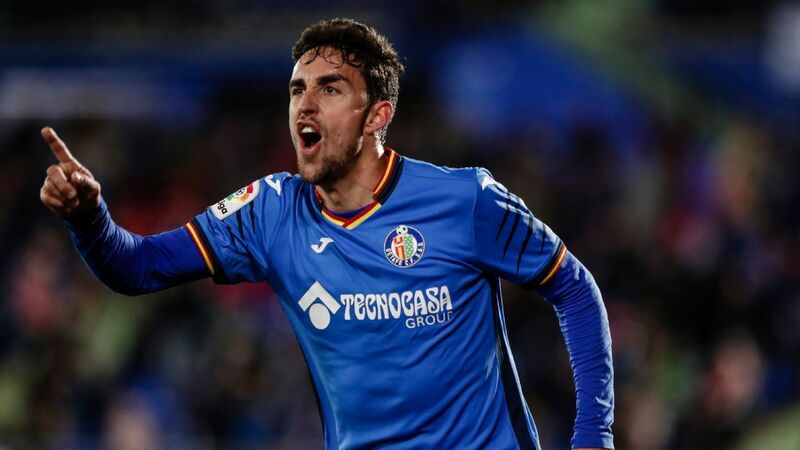 He's been in fine form at Quique Setien's free-flowing side, pulling the strings and helping himself to six league goals -- he'd never previously managed four in a league campaign. "I had stopped thinking about the national team," he admitted to Marca last week. "I simply had it in my mind to recover and then play well, to build my consistency and play at a high level, but I've surpassed all my expectations." He was handed only 15 minutes by Luis Enrique against Norway, but still created a chance for Marco Asensio with a wonderful pass. It's happened six years later than we all expected, but Canales is now finally a Spain first-teamer.